We will send you a proof of your customized sticker in one of two ways, electronically through email or we can send an actual hard copy of your proof. The electronic proof is the fastest way to receive your stickers. A hard copy of your proof is printed on the same media your stickers will be printed on, so you can get a better idea of what the final product will look like. Keep in mind that receiving a hard copy of your proof ads to the overall processing time. We use an 8 mil white, flexible static cling vinyl which adheres to most clean, polished smooth surfaces without adhesive. This static cling decal type is neat because you print onto a white back surface, which can provide great contrast for your color logo and images. It's the same for all of our print products. We have great confidence in our ability to provide customers with the highest quality custom made bumper stickers and guarantee your satisfaction. If, for any reason, you do not feel that we have met your expectations of quality, please let us know and we will be happy to reprint your order. Let us Print Window Stickers for you! Generate eyeball traffic with window decals! 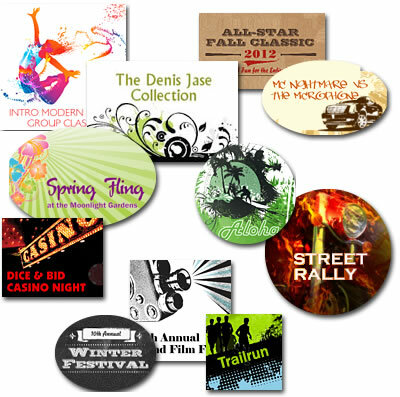 We print on white media which offers the clearest, most stunning window stickers. Unbeatable prices, fast processing and helpful customer support: call 888.771.0809 and talk to our friendly customer support team.